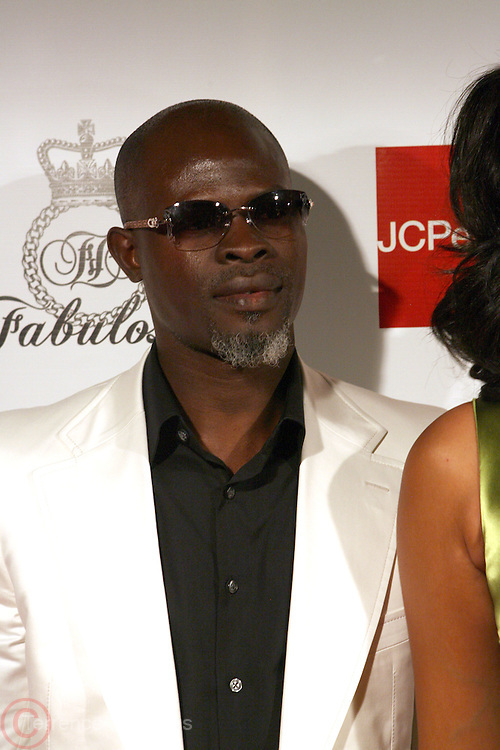 Djimon Hounsou at the Kimora Lee Simmons celebration of the launch of her new fashion collections Fabulosity at JC Penny with party at Hiro on July 16, 2008..Fabulosity is a complete sportswear collection catering to authentic teen girls who want to show the world how fabulous they really are. The line hits JCPenney stores this week featuring tees, knit tops and sweaters, jeans, skirts, dresses, hoodies, jackets and outerwear. The collection embodies a lifestyle of confidence, beauty and fashion sense - at an even more fabulous price point ($29 to $108)..